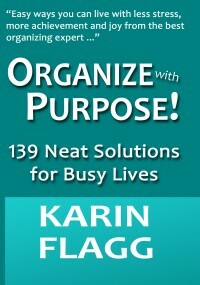 FAQ | Organize With Purpose!Organize With Purpose! 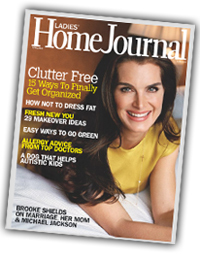 What exactly does a Professional Organizer do? What is a Professional Organizer? Busy people – such as families and busy parents,small businesses, solo entrepreneurs with a home office, CEOs, professionals, entrepreneurs, executives, people on-the-go, and active people just like you! Some people can get organized all by themselves, and others can but never seem to actually do it. Like a personal trainer helps you exercise to the next level even when you really don’t want to, Organize with Purpose! helps you push through tough times. A Professional Organizer is like a coach who assists you in determining what to keep, what to toss and to help you make the next step in taking action. We help determine what system works best for you based on your unique organizing style, so you can get – and stay – organized. We also help to keep you motivated, take action and complete the process. It’s like having your very own cheerleader! Ok I think I might be ready. How do I start this process? It all begins with a FREE, NO-OBLIGATION 20 MINUTE CONSULTATION, either by phone or in person, depending on circumstances. Call (512) 585- 8424 or click here to schedule your free consultation time now, and start getting organized right away! We NEVER force you to get rid of anything, ever. Organizing is being able to find the things you need – when you need them. Our goal is to assist you in determining what items are important to you and make decisions on the rest. Nothing is ever thrown out without your express permission. The ultimate decision is always yours. How long is a typical organizing session? What will we do? A minimum session is two hours, unless we discuss other arrangements beforehand. During our free initial consultation assessment, we will determine what organizing projects you need help with and the ideal goals for each task. When we start we’ll begin working with the most pressing need first. From there we’ll tackle the next thing that need to be done but you’re not alone – we’ll do it together to make it easy to manage and maintain. How much does it cost? What rates or fees are involved? Each project is unique and tailor-made for each individual. Payment is due at the time of service and we accept cash, check or PayPal and credit card. There is a 3-hour minimum, unless other arrangements are made ahead of time. There is a travel fee for clients located 35 miles outside of the Austin city limits. Cancellations with less than a 24-hour notice will be charged for one hour of service, regardless of whether or not the job is rescheduled. Space Planning and Furniture Layouts for Residential and Small Businesses. Home Office Assessments and Office Space Design and Planning. Interior Makeovers – existing spaces, advice on furniture layouts, colors and artwork arrangements. New Home Move-in and Set-up of areas in your home, done right the first time. My particular question is not answered here, can you help? So glad you asked. We realize every situation is unique and you may have specific questions you don’t see here. We’re happy to answer your questions and we’re just a phone call away, so call (512) 585-8424 or email us to find out more.